Who is it? “I’m from a really small town – well, it’s not even a town it’s more of a village really – about an hour outside of Oslo,” says designer Michael Olestad of his Norwegian upbringing. “I lived there until I was 14, when I moved to Oslo to live with my mum, which was the best thing I have ever done,” he continues. “There, I was able to meet people who were interested in the same things I was – music, art, film. But then I found that Oslo was too small as well, so I moved to London when I was 21, in 2003.” Uprooting to the UK capital in the early 2000s was a pivotal moment for Olestad. Here, he enrolled on courses at LCF and Middlesex, learning the craft of making clothes and finding his fashion tribe at legendary LGBTQ Shoreditch venues The George and Dragon and The Joiners Arms. Why do I want it? Today his dedication is paying off, with the label fast becoming one of the most exciting new womenswear brands emerging from Scandinavia. “I like to mix the classic and wearable with a subtly avant-garde twist,” he says, staying true to the region’s famed design principles. 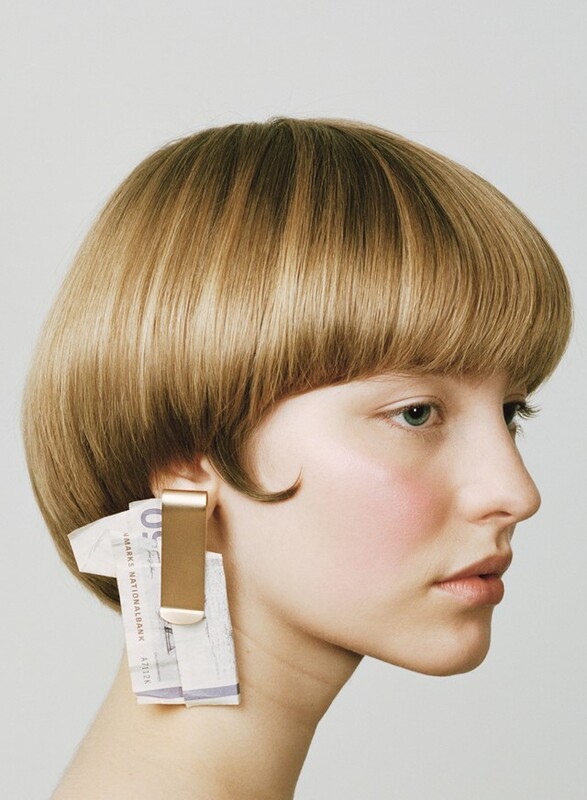 “I want to make clothes that people actually want to buy and wear.” Michael Olestad places a real focus on playful statement jewellery, too, with notable pieces including the ‘money clip’ earrings from A/W18 – comprised of fake Norwegian kroner held in place by silver and gold clips – and a pair of giant macramé earrings bearing the designer’s name, created for S/S17. Conceptually speaking, Olestad draws on personal life experiences when designing, and this became a particularly challenging approach when beginning to make his latest A/W19 collection, having just hit his head during a fall and suffering from concussion. “Doctor’s orders were to stay at home in bed, in the dark,” he says. 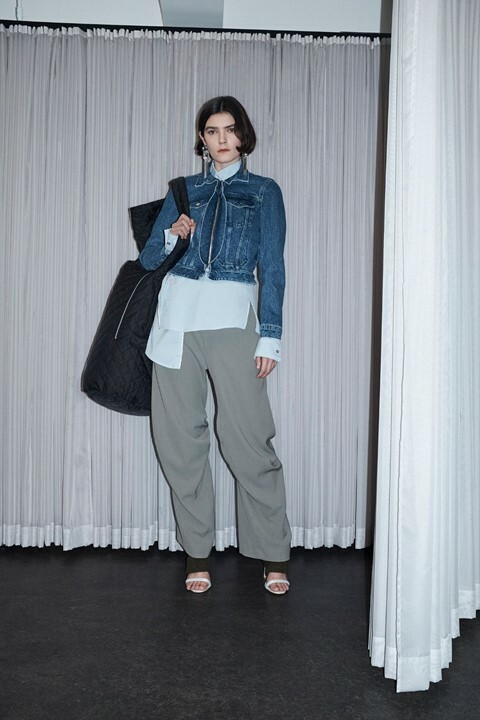 “Inspired by, and shaped by these circumstances, my latest collection addresses a different state of mind.” Here, during the repetitive days of rest, he explored the concept of uniform dressing, taking silhouettes back to basics in cotton, wool, viscose and silk fabrications. At the moment, with just Olestad and his three assistants on the team, things are moving slowly; but this isn’t necessarily a hindrance. “My label is something that I plan to work on throughout my entire life, and this is just the beginning,” he says. “So I want to take time over what I do. I believe in what I do – and also, it’s fun, so why not enjoy every moment?” Having already shown at Oslo Fashion Week over three seasons, he is aiming to expand to an on-schedule London Fashion Week presentation in the near future. Watch this space. Where can I find it? Online at michaelolestad.com and upon request. The lead image originally appeared in AnOther Magazine Spring/Summer 2019, which is on sale internationally now.